journey to your best self. Through PWF Dreambuilders we each have the opportunity to show women in need in Lexington that we see your hard work, we know it is not easy, and we stand with you and want to support your journey to be your best self. Each year the PWF members submit their suggestions for the Dreambuilder projects from agencies in Lexington focused on supporting women. Then the Dreambuilders Committee reviews the requests, and sends a proposal to the board for approval. Dreambuilders thank all of the members who took time to nominate groups for PWF to support 2019, we had a number of strong nominations to consider. New for this year in addition to the information about what each agency offers, we will be sharing how you can volunteer at a one time event or as an on going supporter of each of the featured agencies. Watch for more details in the monthly newsletters and at the first Wednesday luncheons. The four agencies that we will be highlighting this year each support the values in our mission statement, and together these projects will allow us to support a variety of women from diverse backgrounds who like each of us, is trying to live their best life. Here are the four PWF Dreambuilder projects for 2019, watch for more details about the great work these agencies are doing, how you can volunteer to support their mission, and what we will be gathering to directly help the women these agencies serve. If you’d rather someone else do the shopping, donations of cash or a check written out to the agency are gratefully accepted. Collect Personal Hygiene supplies, (shampoo, toothpaste, tooth brush), cleaning supplies, and clothing (socks, underwear) for 10 women. Watch for information from the Membership Committee about how you can volunteer to help one of these organizations in a hands-on way with your fellow PWF members. 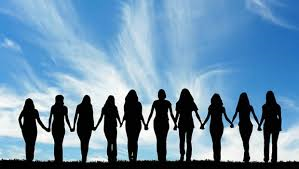 As you become aware of other great organizations supporting women in Lexington remember that they can be nominated for a Dreambuilder project for next year, 2020. In the mean time, please encourage members of other organizations to Join PWF. 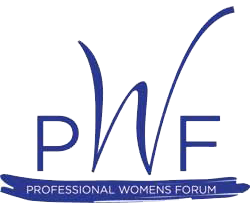 As a PWF member they will have opportunities to share information about upcoming events in the newsletter as well as placing information on the Member Information Table by the entrance to our meeting space. Also as a PWF member you or your designate can attend the monthly meeting and network with other PWF members so that they know what is coming up at your agency. 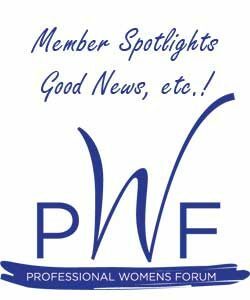 A relatively new option is the PWF Spotlight program, where an organization sponsors a meeting and has the opportunity to speak to the group for 3 minutes before the keynote speaker. Also the Spotlight organization receives recognition leading up to the meeting in the newsletter and on the website / social marketing. © 2019 Professional Womens Forum.